There were three quality openSUSE Tumbleweed snapshot released this week bringing updates for python-setuptools, Mesa, php, Flatpak and both Mozilla Firefox and Thunderbird. Eleven packages were updated in the latest snapshot of the week. Snapshot 20190226 updated the efivar 37 package, which is a tools and libraries package to work with Extensible Firmware Interface variables; the package add support for Embedded MultiMediaCard devices and for Peripheral Component Interconnect (PCI) root nodes without a device link in pseudo file system sysfs. The sensors 3.5.0 package add detection of Microchip MCP9808 and Nuvoton NCT6793D, which has yet to appear on the companies website. Bug fixes were made to the xclock 1.0.8, xev 1.2.3 and xfsinfo 1.0.6 packages. The xfsinfo package fixed a bug in 64-bit builds that caused the maximum request size to be incorrectly calculated. Other packages updated in the snapshot were File 5.36, python-idna 2.8 and python-python-dateutil 2.8.0. 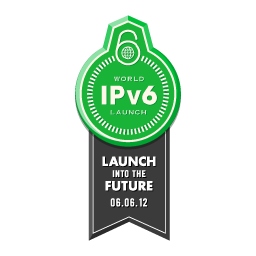 Like last year, openSUSE will participate again on the coordinated launch of the next-generation Internet protocol IPv6 on June 6, 2012. Joining the Internet Society and several major Internet companies like Google, Yahoo and Facebook, openSUSE shows again its readiness for the industry-standard technologies including the new standard protocol for the Internet, Internet Protocol version 6 (also known as IPv6). As we started already last year and did not disable the services since then, this time is an easy win for us: all our services, including wiki, news,Â documentation, forums and of course OBS are already reachable via IPv6 and IPv4. 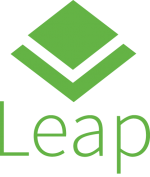 Several thousand users have been using our services via IPv6 every day since then.Â This year, the openSUSE-Education project also joins us and provides their major services also via IPv6. So no time to hide any more: try it out and become part of the next generation Internet Protocol users around the world! Your preferred Operating System already supports IPv6 since years now – and a lot of websites and other participants, too.